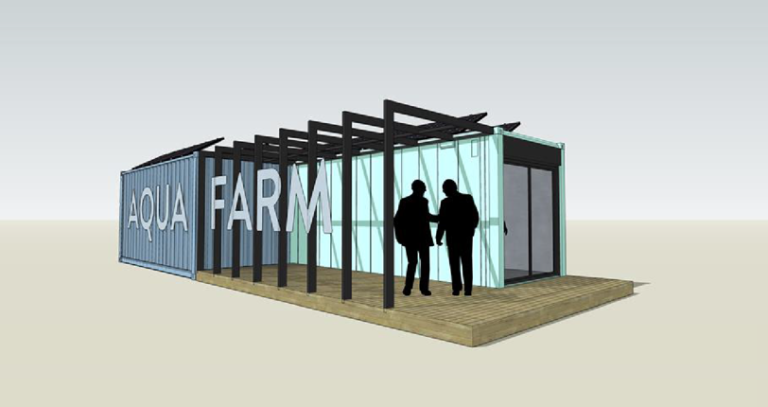 The aim of the project is to develop through a maker-manufacturer collaboration a modular, off-grid, pilot-scale aquaculture centre to produce local food in urban settings, using disused spaces. The test bed for this will be at Clarence Graving Dock in North Liverpool. It will carry out R&D and produce (pilot scale) fresh fish, seaweed and shellfish, addressing the challenges of scale-up for commercial operation, of existing off-grid services and of modularity for flexible scalability, to allow replication in any location. 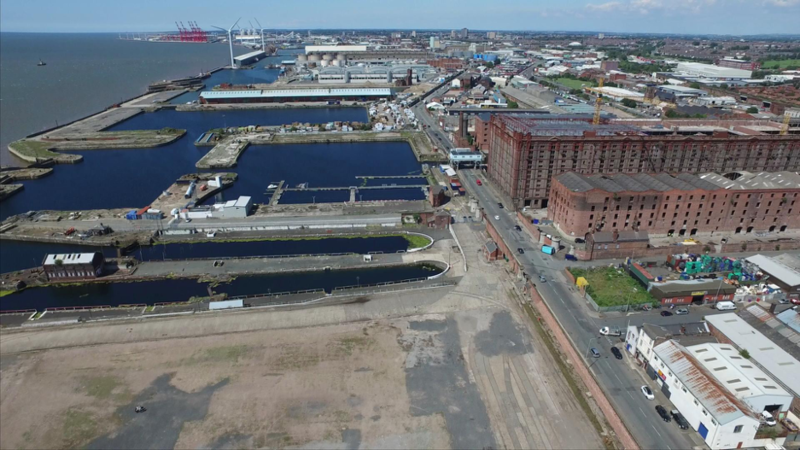 Future phases will use the aquafarm as a focus for an SME cluster and visitor destination to promote innovation, strengthen links to the wider Liverpool community and raise awareness of the sustainability agenda. The company was established in 2012 and is dedicated to promoting the usage of seaweed and advancing the knowledge on the nutritional benefits through cultural exchange, environmentally sustainable applications and enhancing partnership through rigorous applied research. Seaweed Alchemy is an active research partner with both the University of Liverpool and Liverpool John Moores University, and to date has undertaken a number of successful nationally-funded Research Council initiatives. WhiteCircle Ltd is a custom design, fabrication and production company that uniquely utilises the humble Intermodal Shipping Container. By re-cycling such a common and cost-effective structural donor unit, this manufacturer arrives at a sustainable, highly efficient, flexible and mobile final result that is tailored to each specific client brief. This Liverpool Aquafarm project and its partnerships were initiated by Seaweed Alchemy (the Maker), through a concept successfully pitched at Liverpool’s IFB2016 (International Festival Business) in June 2016. From this, a strong working relationship was forged with Whitecrate Ltd (the Manufacturer), along with a consortium of stakeholders (e.g. Liverpool City Council, Peel Group, Liverpool John Moores University and University of Liverpool) from across the city region all involved in sustainability, enterprise and community development. Seaweed Alchemy engages in R&D associated with sustainability, knowledge creation, health and entrepreneurship agendas, which are complemented by the priorities of the Liverpool City Region and national Sustainable Development goals. Partnerships developed at IFB2016 have provided the opportunity for an open innovation initiative to be established that is focused on delivering three integrated project objectives: the installation of an aquaculture research facility, a governance structure, and prototype maker-manufacturer demonstrator supporting numerous benefits. 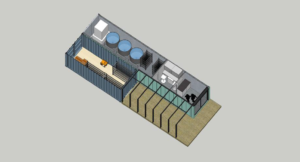 More specifically, through the maker-manufacturer collaboration our aim is to deliver a modular, off-grid, pilot-scale aquaculture centre to produce food locally in urban locations, using disused space, thus delivering a new business and promoting all of this to others. Makers & manufacturers: a match made in heaven? The maker-manufacturer process has been valuable in providing a set of mutual objectives and outcomes. It draws on a collaborative approach to overcome a specific challenge where an idea/innovation leads to a successful output and shared deliverables. Co-development and pooling of resources helps overcome potential inefficiencies of traditional norms of working that generally operate in isolation and that tend to rely on individual capabilities. Dream big! What do you hope to achieve? What's the main challenge on your way? The greatest success will be in proving project delivery for others to learn from the process, and for them also to be inspired to do so through a maker-manufacturer model. Firstly, the tangible installation of a modular aquaculture centre at Liverpool North Docks is to be realised. Secondly, ongoing challenges will be addressed through the implementation of a governance structure that synergises public, private and third sector collaboration. Thirdly, all of this will then lead to an open and public demonstration of the Liverpool Aquafarm at the bi-annual International Business Festival 2018. A major challenge to overcome in projects such as this is often the inertia of gaining seed funding. However, the acquisition of financial support through OpenMaker will address this, through delivering three itemised project objectives (i.e. facility installation, governance structure and prototype demonstrator) and by openly disseminating the process to others. OpenMaker will contribute to the following: tangible delivery of a prototype aquafarm system; a business entity with governance structure to succeed; and a communications campaign to inform stakeholders and wider communities of the demonstrator facility and the maker-manufacturer partnership at Liverpool’s International Business Festival (IBF) in June 2018. This will all be captured in a structured framework of ongoing action research. 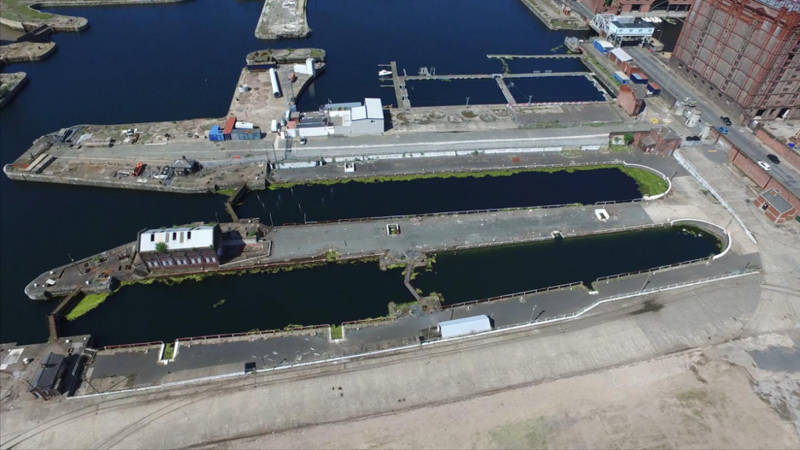 The project is located in North Liverpool, within Clarence Graving Docks, historically important as the gateway of significant migration into and beyond Liverpool during the 18th and 19th centuries. In the skyline there are two ‘liver bird’ monuments. Our ambition is to positively disrupt the local food supply chain and offer alternative healthy options. In doing so, we would frequently address a question asked from the local community: “What is in the liver birds’ mouths?” (Suggested project answer: “Local aquaculture products of the sea”).